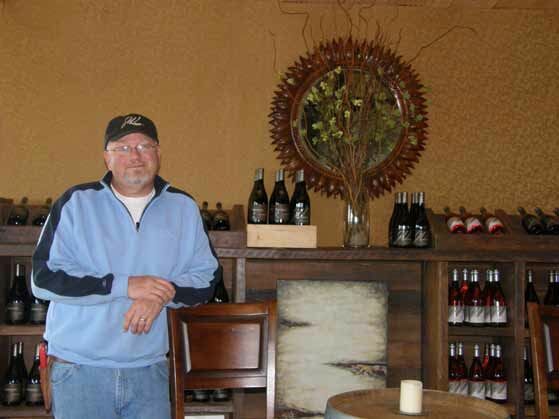 John Wrigley developed an interest in winemaking in 1984 when he graduated from college. Home beer brewing was popular at the time and stores that stocked beer brewing kits also had wine making kits. A friend had made a plum wine at home, and although John did not like the wine, he was intrigued by the process. He bought a gallon of concentrated grape juice and made a wine by a recipe. The first day he tried it, it was good, but it quickly oxidized over the ensuing two days. He realized he needed to learn more and began reading books on winemaking to feed his curiosity. Before long he read everything he could get his hands on including material from UC Davis. As his home winemaking evolved, he wanted to start making wine commercially but did not want the uncertainty of sourcing grapes. He knew he needed the vineyard component. On a fishing trip in Oregon, he met winemaker Andrew Rich and had an Oregon Pinot Noir epiphany. Until that time, he had been a “California Cabernet guy.” He began exploring every AVA in the Willamette Valley and tasted wines from each region. John found that he preferred the bolder style of Pinot Noir wines from the McMinnville AVA, and bought 200 acres of prime vineyard land in Sheridan in the McMinnville AVA in 2006. The property has about 80 acres suitable for planting wine grapes. The rest of the property is planted to Douglas fir timber and too steep to farm without the use of specialized equipment. 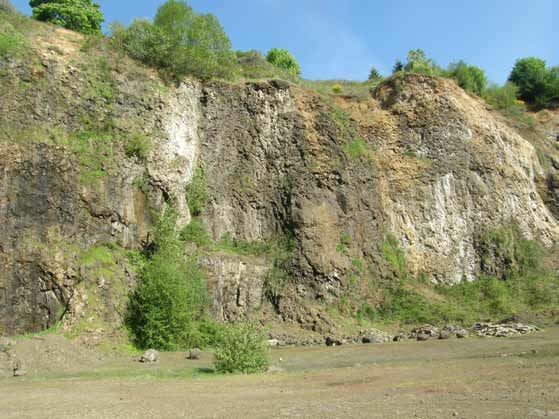 The site is located 12 miles southwest of the town of McMinnville at 210 to 740 feet elevation. The majority of the property is desirable east and south facing slopes and contains a complex mixture of volcanic and sedimentary soils. Because of the western and elevated location of the site, the vineyard benefits from the winds arriving through the Van Duzer Corridor, so there is little mildew pressure. The property is definitely in a very cool location, so cool that some told John he couldn’t successfully grow wine grapes there. He knew, however, that Coleman Vineyard and Hyland Vineyard were on nearby ridges, and the healthy growth of poison oak and mint on the property was a sign that wine grapes could be successfully farmed. In 2008, the first Pinot Noir (Pommard, 115 and 777), Riesling and Pinot Gris vines were planted. Since that year the vineyard has been dry farmed, with the aim of seeking vintage variation in the wines. A small amount of clone “828” was planted subsequently bringing the total vineyard size to 10 acres. The first estate Pinot Noir was released from the 2011 vintage. I tasted the J. Wrigley Vineyard wines in the charming tasting room situated on the summit of the property with panoramic views of the Willamette Valley and Mt. Hood in the distance. John says he makes wine to please himself and hopes that others find it enjoyable as well. He avoids commercial additives and extended maceration. The wines are aged sur lie in barrel with periodic stirring at the time of topping. Over time, his palate have evolved and he prefers more elegant and polished wines with proper balance. This style was evident in the wines I tasted. 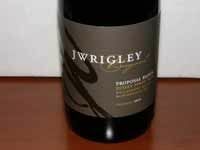 J. Wrigley Vineyard is a small family operation. John manages the vineyard and crafts the wines, while still working as a catastrophic claims insurance adjustor. Currently, total production is about 500 cases. His spouse, Jody, sells the wines. The wines are sold on the website at www.wrigleywines.com and through a wine club. Visitors are welcome by appointment. An informative blog is presented on the website.